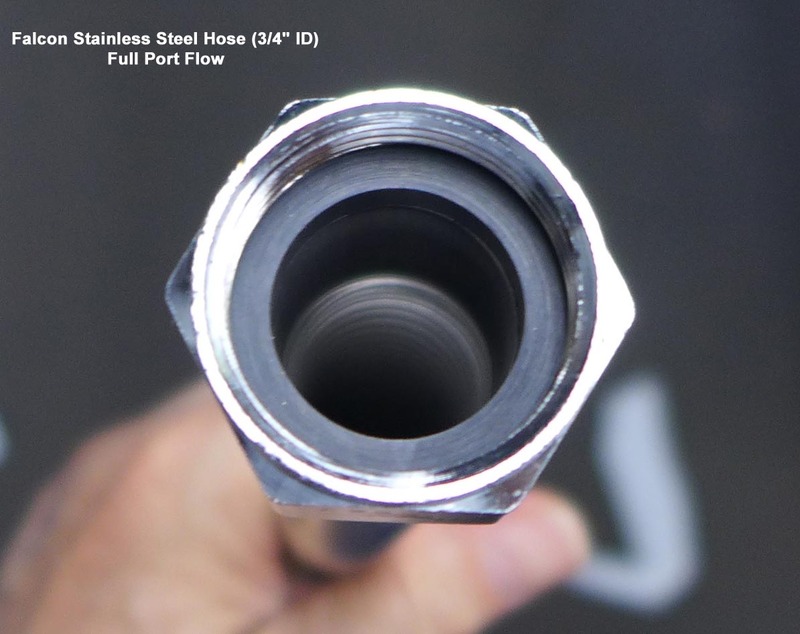 Falcon 3/4" ID Extra Flexible Stainless Steel Water Hose (Ultra-Flex) - 3/4 x 6" - more flexible than the standard Falcon hoses for when a tighter bending radius is required. 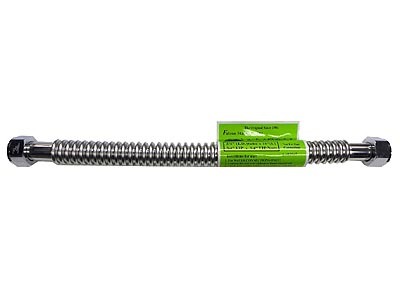 Great for most water heater and water softener connections. This hose is 3/4" ID with 3/4" FIP connectors ("Female Iron Pipe"....ie, Female NPT) on both ends. Available in 5 different lengths - 6", 12", 15", 18", and 24". ** The fittings on the 3/4" FIP hoses can be tightened with an adjustable wrench or a 1 3/16" (30mm) open end wrench. Please do not use a pipe wrench. I personally like Facom's 70A series ratcheting flare wrench as this contacts the fitting on all 6 points and is less damaging to the chrome plating. This wrench retails for over $100 but is currently available at a 50+% savings.